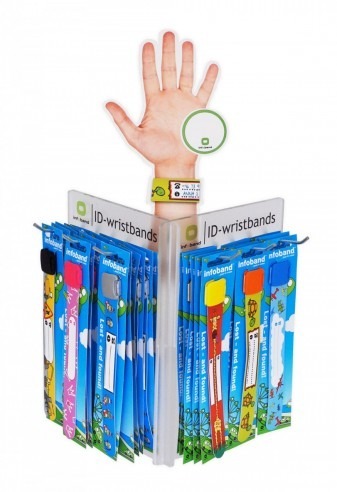 Sales display infoband - Sell more! Goods are in stock, so if you order on weekdays before 2 pm then we ship the same day. When your order is packed and shipped we will send you a confirmation e-mail. 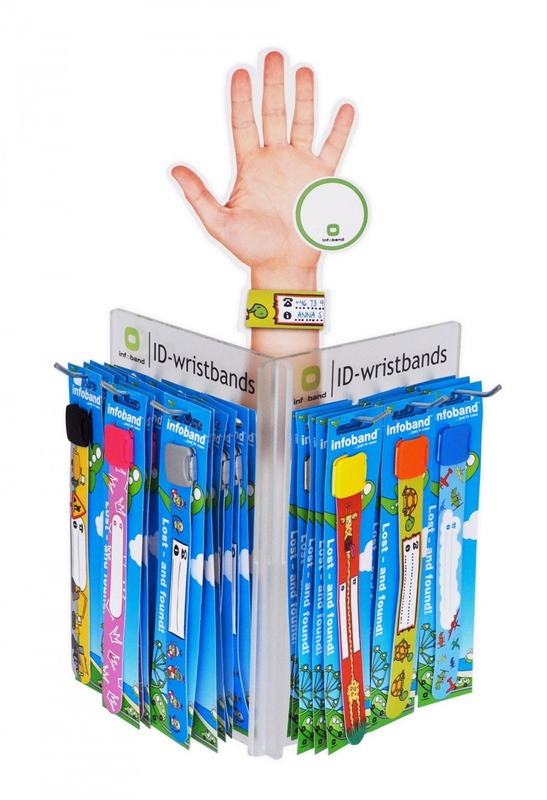 Our great sales display certainly helps to optimise your sales of Infobands. Put the sales display on the disk or in the window, so people can see the various different kinds of Infoband. There is room for many different Infobands on the same display, allowing you to present all your designs at the same time. We have Infobands for girls and boys, and in unisex designs.